Mark Wills serves as pastor of the Carter's Valley Circuit in the Morristown District of the United Methodist church with his wife Jana. Mark has been under appointment by the Holston Conference here at Carter's Chapel since June 2000. 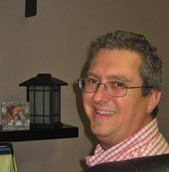 Mark graduated Southeastern College of the Assemblies of God in 1993 with a bachelor's degree in Church Ministries and Vanderbilt Divinity School in 2011 with an MDIV. Along with serving Carter's Chapel, he also works in the technology department of Walters State Community College.